Katy is an allergy mum (and money blogger on katykicker.com) to a toddler who they discovered has FPIES. In today’s episode, Katy tells me all about the reality of living with FPIES on a day to day basis, the lack of information GPs hold, and how they often assume that when your child is just unwell. We also talk about managing your anxieties around your child’s allergy, when they are justified and perhaps when they are just you being a parent. Katy also talks about the symptoms her daughter has when she is reacting and how they can vary. We talk about educating family, friends and extended family too. FPIES stands for Food Protein-Induced Enterocolitis Syndrome. 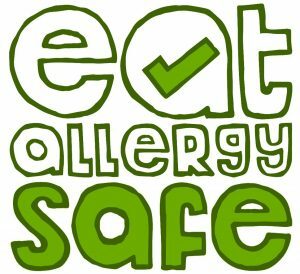 It is a type of food allergy that affects the gastrointestinal (GI) tract. Symptoms include but are not limited to vomiting, diarrhoea, dehydration which leads to lethargy. Children can often look pale or blue. Other symptoms can include low blood pressure, and blood tests that mimic infection which can look like sepsis or lead to sepsis like shock. All children are different and can have different symptoms. With time, it will get better – but you can do it! Q: My son is 3 and attends daycare. Occasionally people will bring in store bought cupcakes. This happened today and they called to ask if he could have them since it said the bakery used peanut products there. I told them no but in saying this what do you suggest I leave at daycare for my child in events like this? Any treat ideas I could leave there for him instead? That way he doesn’t get sad he can’t have any. Rebecca is a mum to two children (and two dogs) and blogs at Glutarama – life’s a drama but gluten free doesn’t have to be. In her family life she manages multiple autoimmune diseases of type 1 diabetes and coeliac disease, and autism. Rebecca is a woman I greatly respect for perseverance in the face of seemingly insurmountable challenges and with such an amazing sense of humour. The symptoms in both her children were occurring at the same time. There was no history of auto-immune disease in the family. In today’s episode Rebecca gives an open and honest account of what life has been like starting with noticing symptoms in both her children, getting a diagnosis, changing their family lifestyle to manage these conditions, how to parent and how she keeps herself sane. I would like to say a special thank you to Rebecca for coming on the podcast and sharing her story in such an open way about the highs, the lows, the challenges and the wins! Contraceptive pill can have nut warnings too! These are the various places I’ve found nuts lurking, if you have other places leave a note in the comments below and let me know so I can add it to the list!